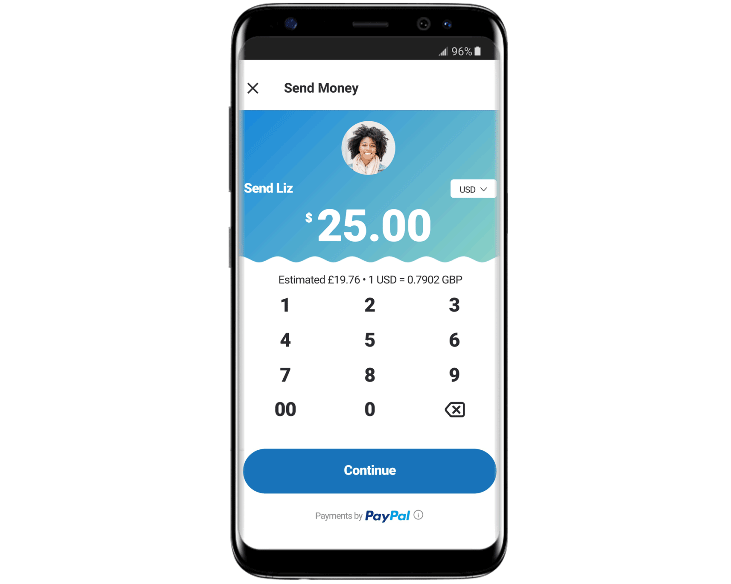 When you first try to use Send Money you'll be prompted to connect your Skype and PayPal accounts together. You'll need to have the latest version of Skype to use the feature, but the recipient can be running any version. If they don't have PayPal they'll be asked to create an account, which might be a little annoying, so probably best to check they have it before you try sending them money. Both the sender and recipient need to be in one of the 22 supported countries in order for the exchange to work. They are as follows: United States of America, Canada, UK (Jersey, Guernsey, Isle of Man) Austria, Belgium, Cyprus, Estonia, Finland, France, Germany, Greece, Ireland, Italy, Latvia, Luxembourg, Malta, Netherlands, Portugal, San Marino, Slovakia, Slovenia, and Spain. The currencies of all of those countries are supported, so if you're in the US you'll have the option to send Euros to someone in Germany, for example. As you may have noticed from the GIF, Send Money is available for iOS as well as Android, making it easy for everyone to transfer funds. This is yet another string to the bow for the new-look Skype that launched in June.